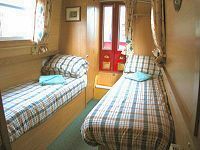 The Grebe Class Canal Boats. 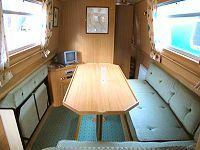 Berth : As this is a 4 berth boat, there is a choice of a double berth or two singles in the forward cabin, all of which have interior sprung mattresses. 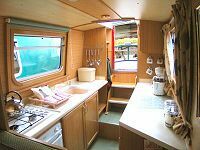 An optional dinette/double is available in the saloon.